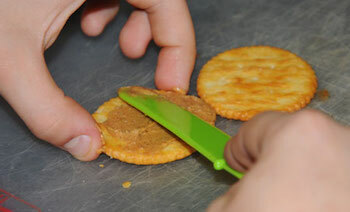 practice using a non-sharp knife to spread. This is a basic cooking skill that kids love to do and using these two fun kid recipes is a good way for them to practice. 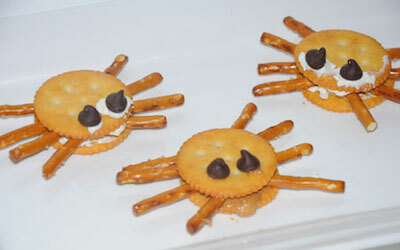 Allow your child to create these spiders. Spread cheese on top of one cracker. 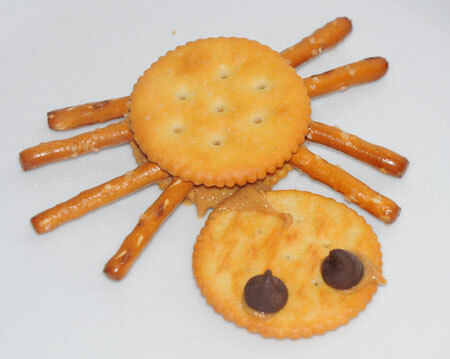 Add pretzel sticks on top of cheese for legs. Put another cracker on top, (you may need to add more cheese.) Add a dab of cheese on top of cracker and attach raisins for eyes. You can also substitute peanut butter for the cream cheese, if desired. Adult should cut apple into slices leaving green peel on. 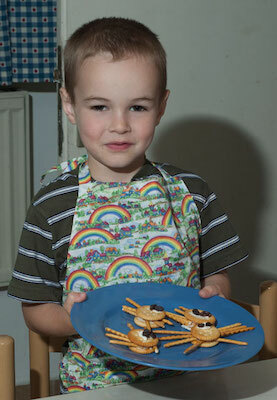 Allow child to spread peanut butter on top of apple slice and layer another slice on top. 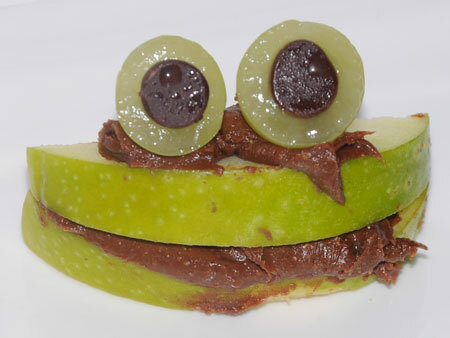 Add dabs of peanut butter on top and attach green grapes. Add another dab of peanut butter and place chocolate chips on for eyes. Add baby spinach under the frogs for lily pads. Frost cupcakes, make their own peanut butter and jelly sandwich or spread mayonnaise on bread for a deli meat sandwich.